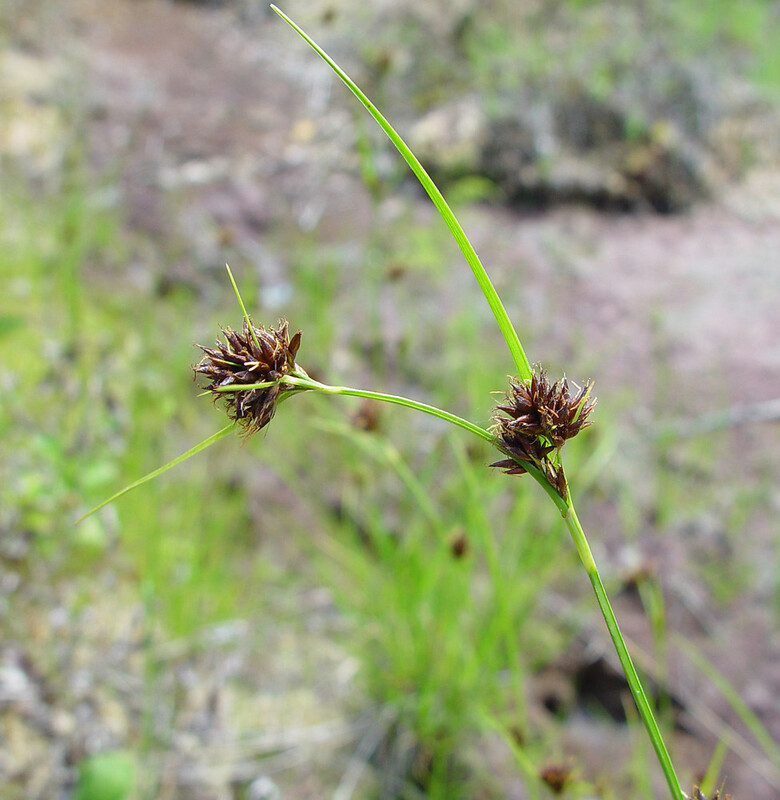 Rhynchospora capitellata.Arthur Haines.Copyright © 2015.New England Wild Flower Society.gobotany.newengland wild.org (Accessed 8/2015). Rhynchospora capitellata is a perennial rush, to 80 cm tall, clumped. Leaves flat, about 0.2-0.3 cm wide. Flower spikelets brown, in half-round, head-like, short-branched clusters to 1.5 cm wide, scaly, to 0.5 cm, flowers 4-5, petals and sepals reduced to 6 bristles; seed (achene) lens-shaped, widest above middle, capped by persistent, expanded base of the style; inflorescences several along stem, in axils of leaf-like bracts; blooming and fruiting July-Oct.
Habitat: Open marshes and wet edges.